Rosewood Hotel Group is going to expand its market in Asia with the inclusion of Rosewood Shenzhen (opening 2022), Rosewood Hermana Mayor (2023), New World Jaipur Resort (2023) and Rosewood Shanghai (2024). Sonia Cheng, CEO of Rosewood Hotel Group said that they intend to double the number of Rosewood hotels in the next five years, from current 24 hotels in 15 countries, with a full one-third of new properties located in Asia. China remains a priority and our entry into Shanghai and Shenzhen represents an important expansion of our footprint in Tier-1 cities. The new Asia hotels join Rosewood deals announced this past year for Chengdu, Yangon, Antigua and Houston, recent openings in Phnom Penh, Luang Prabang and Baha Mar in the Bahamas, and the re-opening of Rosewood Bermuda following a major renovation. Four Rosewood properties have opened in Asian countries in the past 12 months: Rosewood Sanya, Rosewood Phuket, Rosewood Phnom Penh and Rosewood Luang Prabang. By the end of spring, Rosewood will have nine properties across Asia, with the highly anticipated openings of Rosewood Hong Kong, Rosewood Bangkok, Rosewood Yangon this winter and Rosewood Guangzhou in spring. Rosewood Shanghai, owned by Hopson Commercial Property Management Company, will be part of a new skyscraper in Suzhou Creek, Jing’an district. The property will be the centerpiece of the Hopson One Suhewan development that will include offices, residences, luxury retail and spaces for art and culture. The hotel will feature 220 rooms and 83 luxury Rosewood Residences (serviced apartments) and offer views of the Puxi and Pudong skylines, with access to the Bund promenade, Nanjing Road commercial area and People’s Square. Rosewood Hotel was appointed to manage this property by China Resources Land Ltd., the flagship subsidiary of China Resources Group. Rosewood Shenzhen will be part of a new mixed-use development that includes office and retail spaces and will have 300 rooms and 50 Rosewood Residences in the Pearl River Delta megapolis at the intersection of Nanshan, Futian and Baoan Districts. Rosewood Hermana Mayor will be the brand’s first entry in the Philippines, located on a private island just 10 kilometers from the mainland. AquaTerra Hotels and Resorts Development Corporation appointed Rosewood to manage the property, which will have 128 villas and Rosewoood Residences for private ownership. 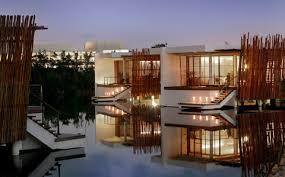 New World Jaipur Resort, India, will be the brand’s and group’s foray in the subcontinent. Owned by Keemaya Resorts and Spas, New World Jaipur Resort will be the first all-villa resort in the city with 181 villas and extensive leisure and event facilities. Pentahotels, Rosewood Hotel Group’s upper-midscale hotel brand also has an ambitious growth plan in Asia, with a specific focus on China. In 2018, the brand will re-enter Russia with the opening of Pentahotels Moscow, following on the August opening of Pentahotels Chengdu. These new properties join Pentahotels in 28 locations across seven countries and two continents. Pentahotels is positioned for a growth plan that largely prioritizes China locations in the years to come. Rosewood Hotel Group will add 50 hotels to its portfolio globally, a 70-percent increase across the four brands in the next three to five years.